We all love pizza, yet, no one is really thinking about the waste that is created everytime we throw away the plastic cutlery and the cardbord boxes in which our delicacies are delivered. This video shows a brilliant solution for enjoying your favorite meal, while helping reduce waste. 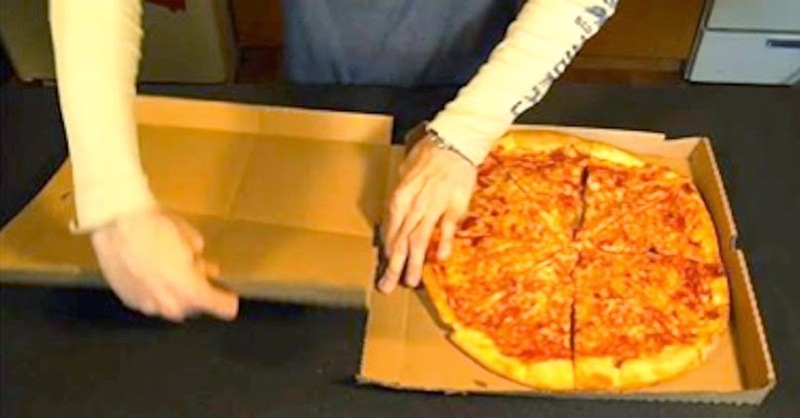 GreenBox is manufactured from 100% recycled material and is made from a standard pizza blank; it requires no additional material or major redesign. Its top breaks down into convenient serving plates, eliminating the need for disposable plates. The bottom converts easily into a handy storage container, eliminating the need for plastic wrap, tin foil or plastic bags. The perforations and scores that create this functionality allow for easy disposal into a standard-sized recycling bin. There's so much coolness involved in enjoying your pizza and being responsible towards the environment. What are your thoughts on this? Let us know in the comments section below. Spread the word to the world by sharing this inspiring idea. Sharing is caring, the rest is mere delight, as long as pizza is involved!